← Is It Enough To Be A Good Mormon? This entry was posted in Joseph SMith, Vision and tagged accounts, contradiction, different, fire, first, grove, Joseph, liar, lied, Lord, personage, pillar, sacred, Smith, Vision. Bookmark the permalink. 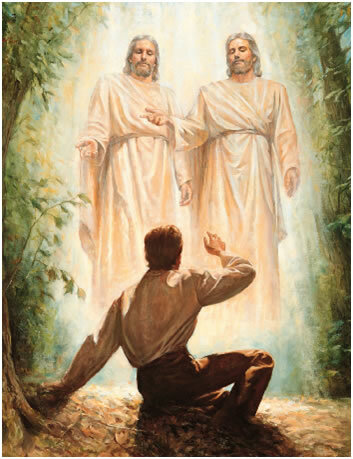 4 Responses to Did Joseph Smith Lie About the First Vision? It’s been a while since you’ve posted. missed ya! 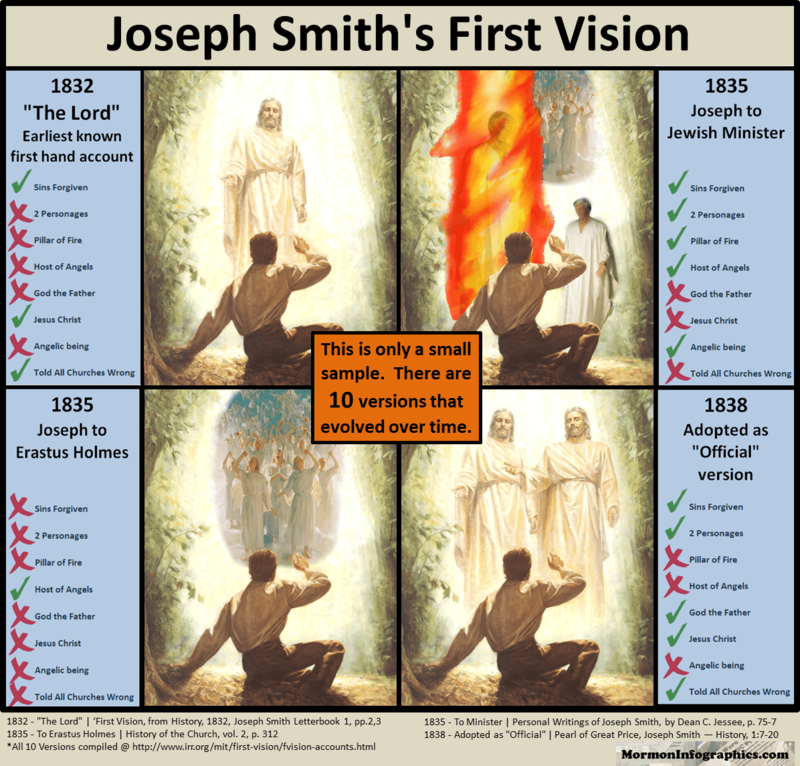 Did Joseph Smith lie about the First Vision? Absolutely not. I know this to the core of my soul. Did Joseph lie about the divine origins of the Book of Mormon? No. This volume is assuredly scripture from the voice God. Did Joseph Smith lie about his participation in polygamy during the Nauvoo period ? Yeah. Bill Clinton style. “I had not been married scarcely five minutes, and made one proclamation of the Gospel, before it was reported that I had seven wives. I mean to live and proclaim the truth as long as I can. This new holy prophet [William Law] has gone to Carthage and swore that I had told him that I was guilty of adultery. This spiritual wifeism! Why, a man dares not speak or wink, for fear of being accused of this. William Law testified before forty policemen, and the assembly room full of witnesses, that he testified under oath that he never had heard or seen or knew anything immoral or criminal against me. He testified under oath that he was my friend, and not the “Brutus.” There was a cogitation who was the “Brutus.” I had not prophesied against William Law. He swore under oath that he was satisfied that he was ready to lay down his life for me, and he swears that I have committed adultery. I wish the grand jury would tell me who they are—whether it will be a curse or blessing to me. I am quite tired of the fools asking me. A man asked me whether the commandment was given that a man may have seven wives; and now the new prophet has charged me with adultery. I never had any fuss with these men until that Female Relief Society brought out the paper against adulterers and adulteresses. Dr. Goforth was invited into the Laws’ clique, and Dr. Foster and the clique were dissatisfied with that document, and they rush away and leave the Church, and conspire to take away my life; and because I will not countenance such wickedness, they proclaim that I have been a true prophet, but that I am now a fallen prophet. Jackson has committed murder, robbery, and perjury; and I can prove it by half-a-dozen witnesses. Jackson got up and said—”By God, he is innocent,” and now swears that I am guilty. He threatened my life. There is another Law, not the prophet, who was cashiered for dishonesty and robbing the government. Wilson Law also swears that I told him I was guilty of adultery. Brother Jonathan Dunham can swear to the contrary. I have been chained. I have rattled chains before in a dungeon for the truth’s sake. I am innocent of all these charges, and you can bear witness of my innocence, for you know me yourselves. When I love the poor, I ask no favors of the rich. I can go to the cross—I can lay down my life; but don’t forsake me. I want the friendship of my brethren.—Let us teach the things of Jesus Christ. Pride goes before destruction, and a haughty spirit before a downfall. Be meek and lowly, upright and pure; render good for evil. If you bring on yourselves your own destruction, I will complain. It is not right for a man to bare down his neck to the oppressor always. Be humble and patient in all circumstances of life; we shall then triumph more gloriously. What a thing it is for a man to be accused of committing adultery, and having seven wives, when I can only find one. I am the same man, and as innocent as I was fourteen years ago; and I can prove them all perjurers. I labored with these apostates myself until I was out of all manner of patience; and then I sent my brother Hyrum, whom they virtually kicked out of doors. Either these polygamy/adultery/spiritual wifery allegations against Joseph were a multi-generational conspiracy promulgated by his traitorous “frenemies,” and his most devoted confidants in life alike, with the testimony of the young women participants later coerced, and all the peer reviewed professional research of primary and secondary sources in complete error – OR – JOSEPH LIED TO THE CHURCH, TO HIS WIFE, AND TO THE WORLD, WHILE SLANDERING AND DISENFRANCHISING HIS ACCUSERS. Justify this behavior how you may. “Abraham lied to Pharaoh about Sarah and Jacob tricked his father.” Perhaps this is all a big misunderstanding. If the facts can be assembled to prove “Joseph Smith Fought Polygamy” as some have attested, I repent. But we can’t have it both ways. Good ‘or’ evil? No, good AND evil. In the same breath. By the same people. At that time when every knee shall bow and every tongue confess that Jesus is the Christ, perhaps the couplet “Joseph Smith was his Great Prophet, and he fell by transgression” will also be had among the nations. BTW, I failed to offer due recognition. This post is absolutely brilliant, and your amalgamation of the multiple accounts of the vision is now part of my personal canon. Do you gain some satisfaction in defaming the lords servant? Is your life so miserable that you need to pile on him to make yourself feel better? Are you aware of the lords promise to Joseph that the lord will bless those who bless (Joseph) and curse those who curse (Joseph)? You might want to consider changing your course. Unless you were alive to hear each and every so-called version of Joseph’s first vision, how do you know that the early brethren haven’t modified or changed the verbatim he used in describing his vision? You’re walking on thin ice by taking such a harsh stance against the lords servant.